Planning to go one day weekend trip near Bangalore oh... near Bengaluru? 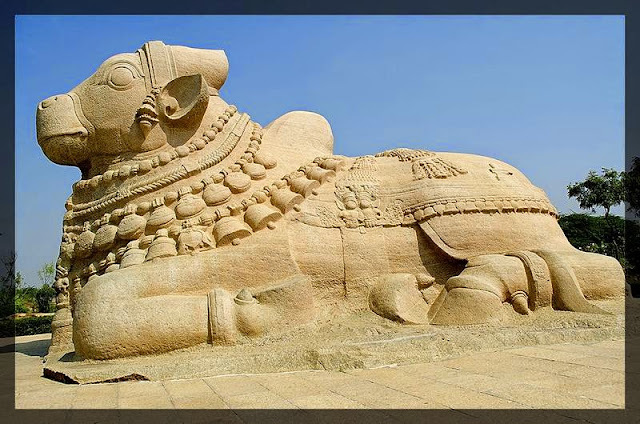 Trip to Lepakshi would be good choice if people are interested in archaeology. 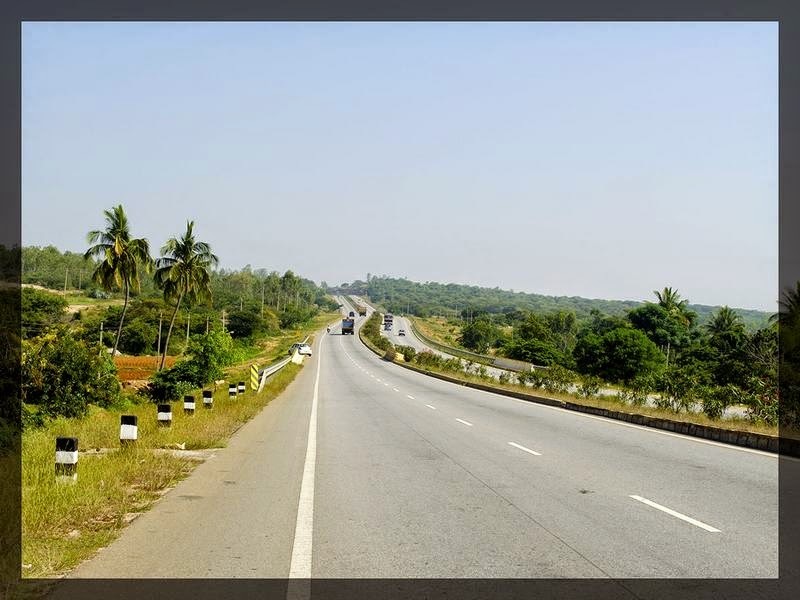 It is about 2 hours drive and approximately 120 km from Bangalore. We planned trip just a night before. Hence, we were not ready for early morning drive. 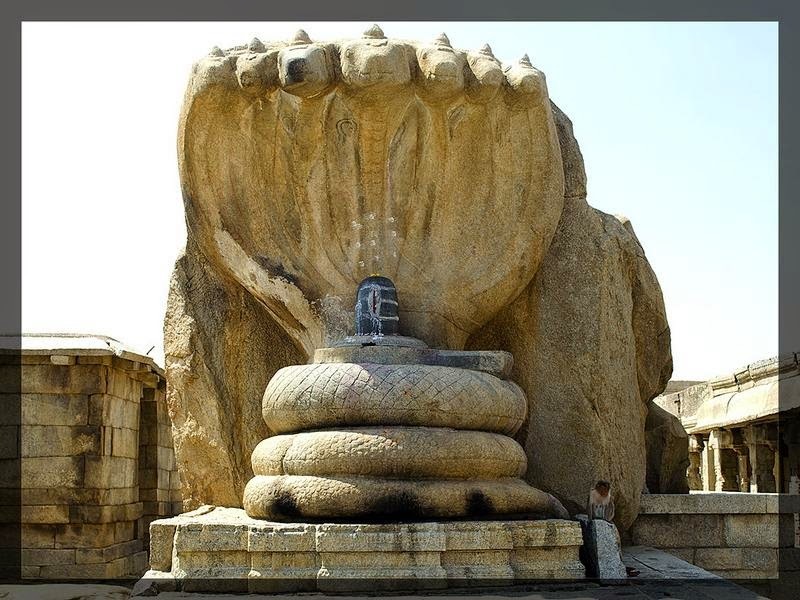 But managed to start by 8:30 am, took the Bangalore-Hydrabad highway and we were in Lepakshi by 10:30 am. At about 60 km, one can find Kamat Upahaar for breakfast. The roads are good except for 3 km stretch before Lepakshi where road work was in progress. There are 2 toll plazas, one near Devanahalli airport and the other one before the check post at Bagepalli. Single trip it costs Rs. 75, for onward and return it is Rs. 115. Near check post take left turn to Lepakshi. 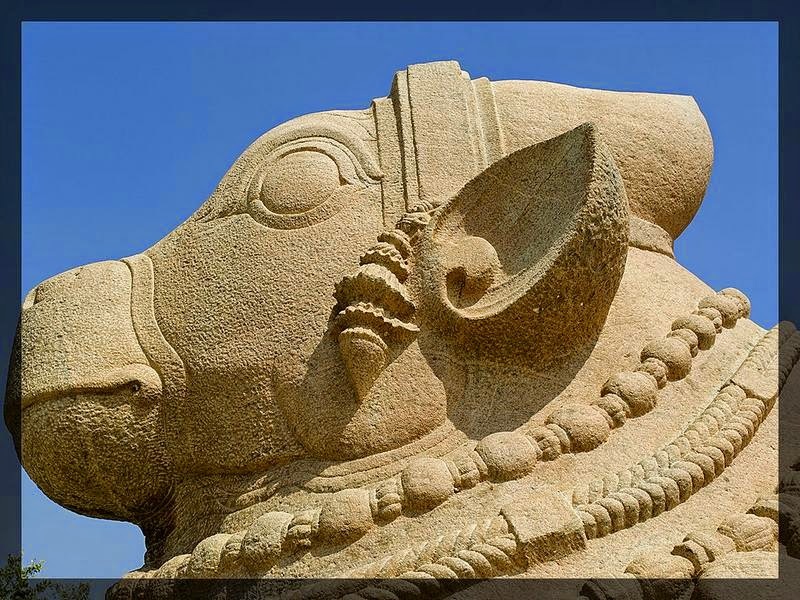 A great grand Nandi bull made with a single granite stone in couchant posture welcomes you with beautiful ornaments on your right side. This is on the main road. 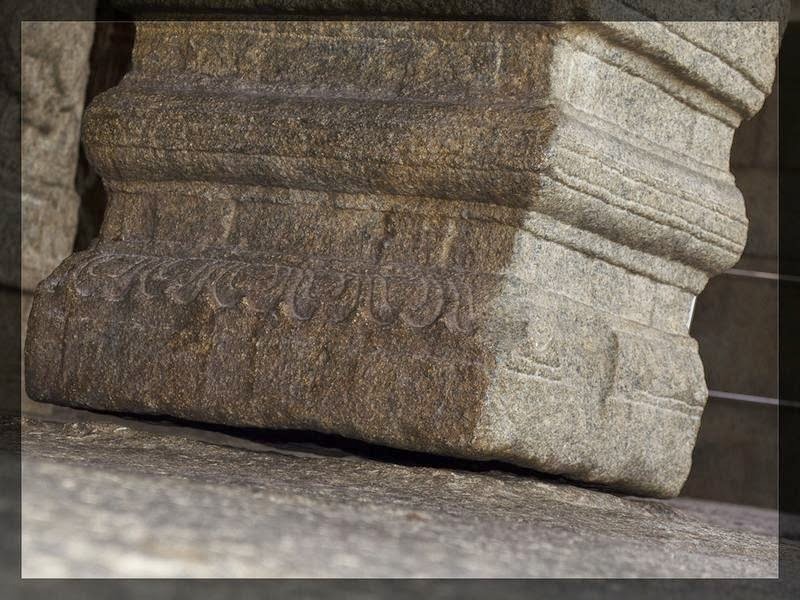 It is looking towards the Nagalinga located behind the Veerabhadra temple. 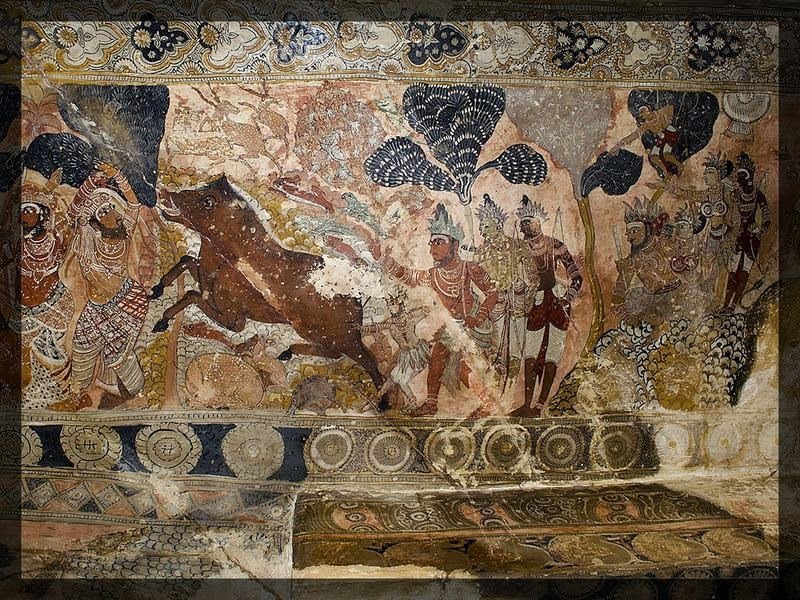 We spent few minutes photographing the gigantic Nandi. On the left side, Veerabhadhra temple is located 200 meters from Nandi. A rich architecture speaks a lot about the temple. 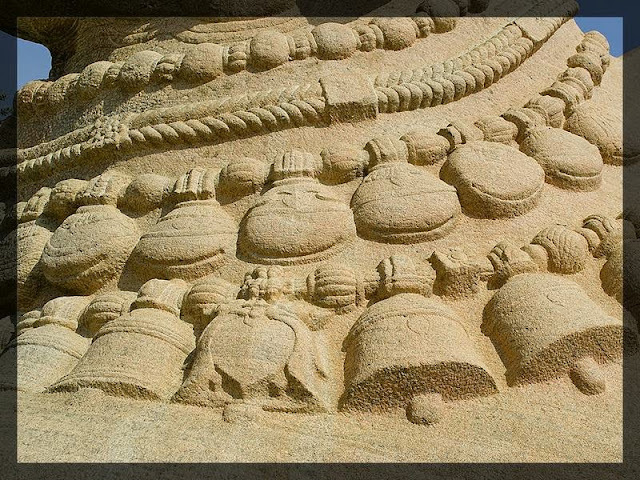 The main deity is Veerabhadra Swamy. It is said that, Veerabhadra swamy emerged as a swayambu murthi around 1000 years ago. 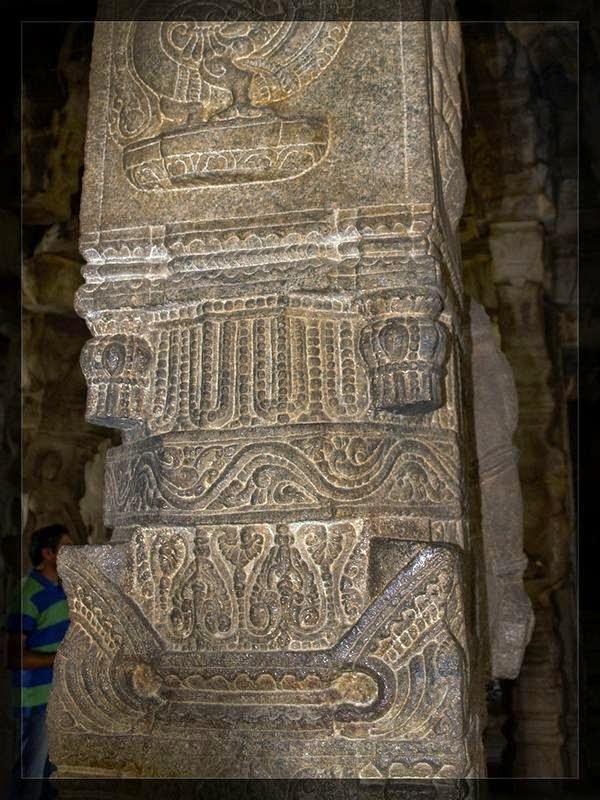 It is said that Virupanna who was the finance minister during the Vijayanagar period had a son whose name is Veerabhadra. 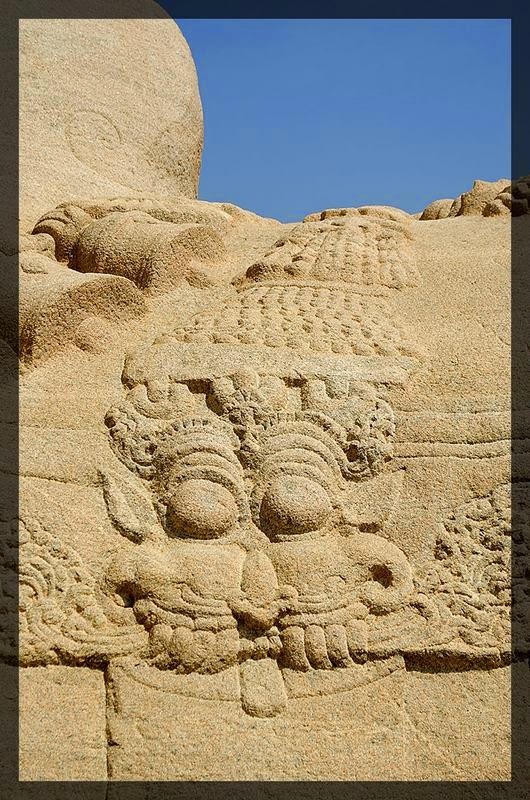 At the early age, Veerabhadra could not speak. Virupanna came here and prayed for one mandala (48 days). With the blessings of Veerabhadra swamy, Virupanna's son got his speech. 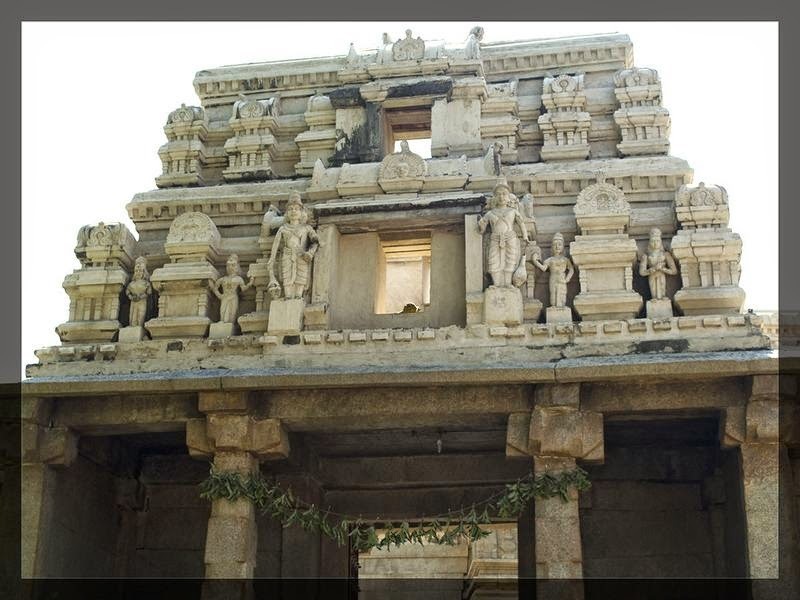 So Virupanna established this temple with the main deity as Veerabhadra swamy in the year 1538. 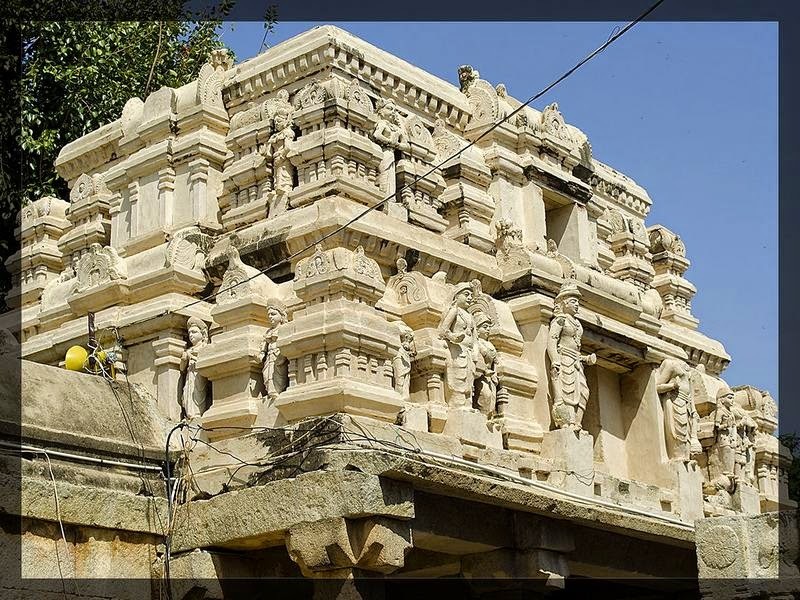 There are 3 shrines dedicated to Shiva, Vishnu and Veerabhadra. The temple symbolise that Shiva and Hari are one and the same. In Tamil there is a popular saying "Hariyum Shivavum onnu, Ariyadavaa vayile mannu". 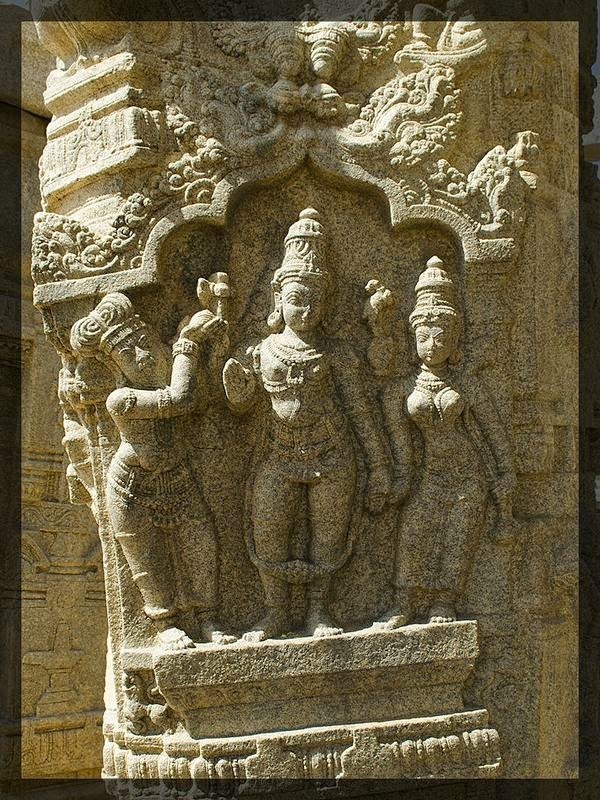 A pun on the song by Pithukuli Murugadas depicting this in Tamil language as "Hari Shiva aanganume, arisi vaanganume". This sayings and songs goes well for this temple. Inside the temple near to Goddess Parvati, a cave like structure takes you inside a room where there are beautiful mural painting on the ceilings. 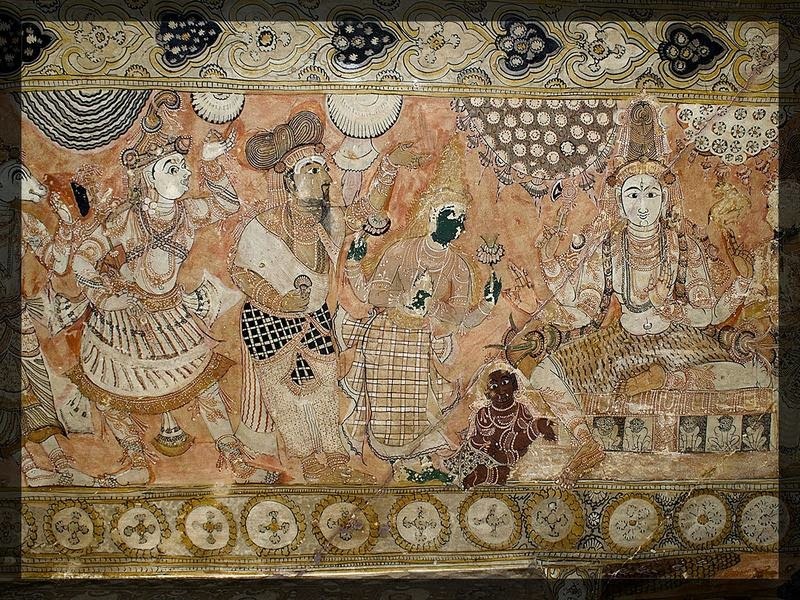 Most of the paintings are damaged. So anybody planning to visit please look at the ceiling with the help of torch. The sculptors are wondrous to our eyes. Totally engaged in the beauty of this marvelous sculpture. After this we proceeded towards Madakshira fort which is about 45 km and takes approximately 1 hour to reach. Plan early to visit this place. Park your car in safe place and start trekking for 1-2 hours (as per locals) to reach the fort. As it was already 4 pm and had to return, we did not visit the fort. 1. Take home-made food for Lunch if you are going to spent the whole day here. Have a plenty of water as it is very hot now. 2. Suggestions to club with other places if you start early hours. a) For bird watchers, you can visit painted stork. 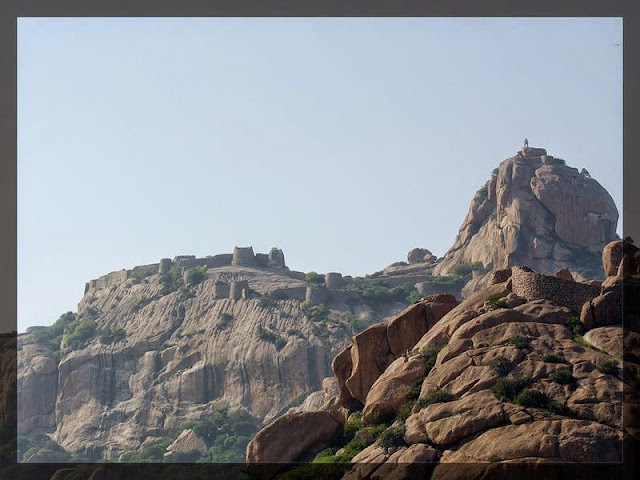 You can easily spot the place as there is a statue of painted stork on the way to Lepakshi. As we are bird lovers we enquired one of the villager about the birds. The villager replied that there is no bird at present and it is expected by January or February. 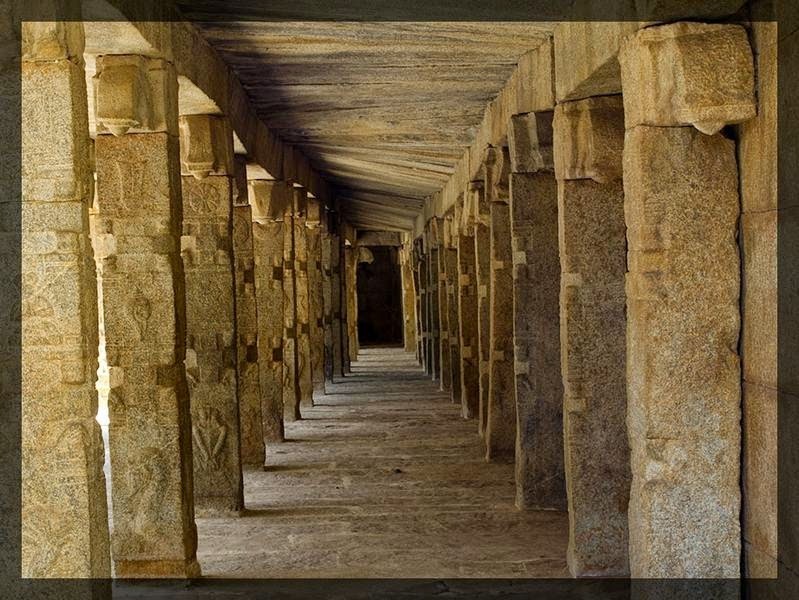 If anybody planning to visit during these months try clubbing Lepakshi along with Painted stork. 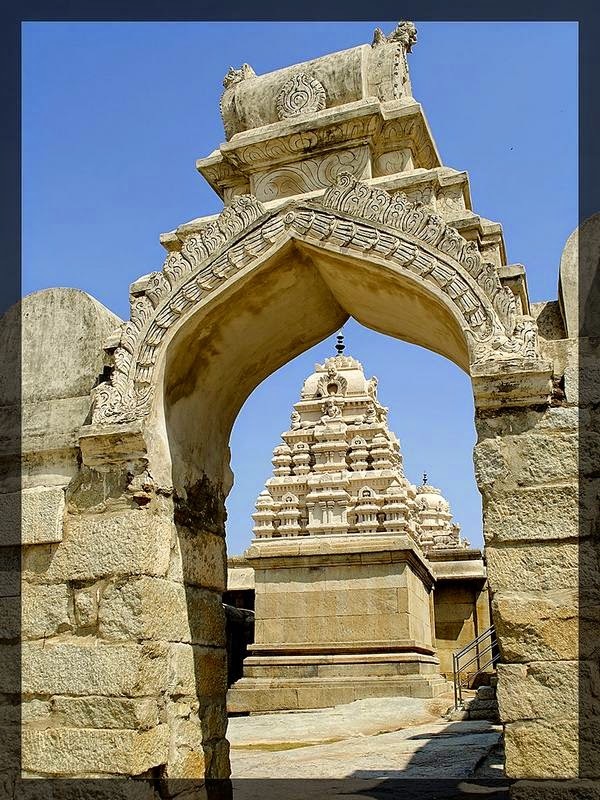 b) You can club the visit to Lepakshi by visiting Madakshira fort or Penukonda fort if you start at early hours. c) Lepakshi and Nandi hills.